To build a just society, we must make America’s plutocrats very, very uncomfortable. Creating massive insecurity for Wall Street, corporations and the super-rich is a precondition for fixing the economy and country. This can be our moment. A new activism is emerging in the United States and abroad, where people, in unexpected places, are standing up to challenge the rich and powerful. From recent uprisings in Egypt, to young people and workers in Europe marching and striking against shortsighted austerity plans, to the battle of nurses, teachers, firefighters and community members in Wisconsin, and the sit-ins and occupations of banks starting around the country, a movement is starting to grow. The potential power of government to force banks to pay their fair share of taxes and renegotiate toxic interest rates that are sucking billions out of city and states budgets. The potential power of homeowners and students to renegotiate unfair mortgages and loans, keeping millions in their homes and putting billions into the economy to create jobs. The potential power of public employee unions to bargain and demand that government implements concrete proposals that would save billions by holding Wall Street and banks accountable. The potential power of private sector unions to organize and bargain not just for existing union members but also to fix broken industries, and to alter business practices that exploit communities and pollute the environment. To do this, we need to understand how our country and our economy got in the mess they are in, the opportunities we have missed over the last two years and the critical role we can all start playing to fix it. In an ironic twist of history, the same people responsible for the global financial and economic meltdown are using a crisis of their own making to amass wealth and power in concentrations not seen since the beginning of the 20th century. 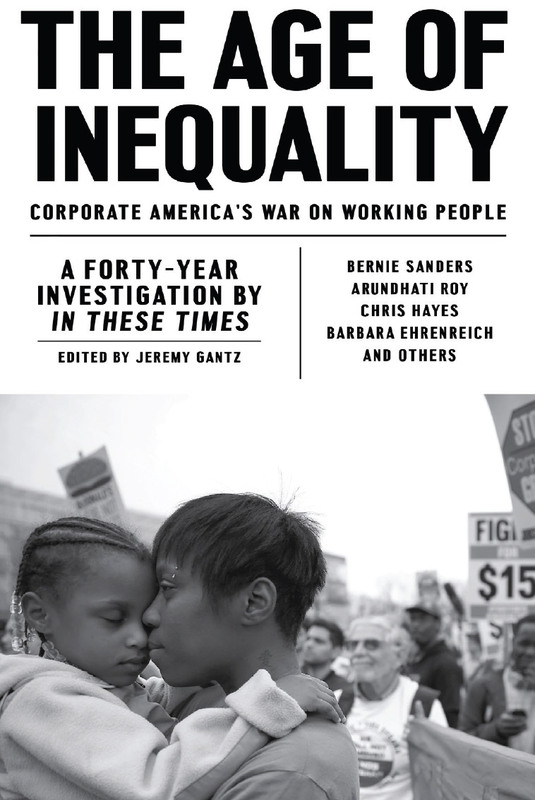 We are experiencing a corporate counter-revolution–the goal of which is to reverse the arc of the last 100 years–to undo the historic gains that built up the middle class and secured greater equality, freedom and economic, racial and social justice. It is not a surprise that corporate CEOs would organize and fight ferociously to defend their interests and expand their privileges. What is shocking is how we progressives blew an opportunity in 2008, when the moral bankruptcy of the super-rich and the failure of the “free market” ideology were exposed, to challenge growing economic inequality and the power of Wall Street elites. Seduced by our new “access” to the White House, we were trapped in an inside-the-beltway political game at the very moment we should have been organizing, marching, sitting-in and confronting the corporations that crashed the economy. While millions lost their jobs, homes and the savings accumulated during a lifetime of work–with communities of color and immigrants particularly hard hit–we crowed about newfound political power and influence. And now we complain about inaction by politicians, the devastating losses in the 2010 elections, and why we can’t seem to connect with the American people on issues we should be winning on. To develop a plan of action that rises to the complex perils and opportunities we face, we need to understand what has been happening. Capitalism–and our entire democracy–is being reorganized in a way that maximizes profits for the wealthiest few but ultimately shrinks the middle class. Corporate CEOs control politics and politicians to such an extent that we are unable to make the legislative changes needed to reverse this. Wall Street, big banks, multinational corporations and the super-rich were able to seize the opportunity in 2008. They are now in the extraordinary position of leveraging the insecurity most Americans face to demand unending concessions, while simultaneously demanding security and certainty for their own capital and investments. Events unfolding in statehouses in Wisconsin, Ohio and around the country demonstrate that Wall Street, giant corporations, the super-rich and the politicians they support are ruthlessly executing a plan to slash public budgets; destroy public employee unions and the livelihoods of teachers, nurses, firefighters and other civil servants; privatize public utilities, roads, schools, hospitals and prisons; permanently cut social programs and benefits; and, all the while, radically reduce their own taxes. But this is just the first step in the corporate elite’s campaign to eliminate the remaining islands of private-sector union strength and slash benefits and pay for all workers. Corporations and the rich no longer think they need an American middle class with decent paying jobs to be profitable. Corporate profits can now be earned from a growing global consumer class, while at the same time mass unemployment and declining living standards become the new normal. The United States is important to the corporate elites as a safe haven, but they no longer see a decent living standard for the majority of Americans as important to their economic success. Until we break this corporate stranglehold, we will have no money to solve state budget crises. Given the skads of money that corporate interests pump into politics, without a demand from the streets, politicians think that they cannot champion policies that would hurt their “friends.” In state after state, Democrats will make massive cuts to services and public employee jobs like their Republican counterparts–they just won’t demand an end to collective bargaining on top of it. And absent a strategy of escalating and dramatic actions that expose the wrongdoing of corporations and the uber-rich that got us into this mess, we are trapped in a strategy that depends on politicians to rein in the very corporations they are in thrall to. Corporations are creating an environment that is favorable to them but harmful to most Americans. Our job is to figure out how to turn this scenario on its head, to decrease their security so we can win greater opportunity and security for the rest of us, lifting the bottom, growing the middle and holding the top in check–just as we did for most of the 20th century. Creating massive insecurity for Wall Street, corporations and the super-rich is a precondition for fixing the economy and country. There can be no new “social contract,” no “new New Deal,” no comprehensive legislation that allows workers to organize and no limits to corporate power as long as corporate CEOs feel insulated from the suffering they cause. At first blush this sounds a little crazy. It runs counter to the message many economists and politicians bombard us with every day in the media. Their claim is that businesses aren’t investing, jobs aren’t being created and the housing market isn’t stabilizing because the corporate community needs greater certainty and predictability. These same people would argue that Obama and the Democrats need to be more business-friendly. Yet, Corporate America already has record profits and cash on hand. In short: the best of all worlds. They know far better than we do that their hold on power is dependent on our acquiescence to their false premises and pseudo-free market ideology. Therefore we must directly challenge them in the streets so that they have more to lose by ignoring the public interest than by accepting real change. I know many Americans are cynical about the possibility of the success of such an effort in the United States. But we have a long and proud tradition of challenging the economic and political interests of the powerful through direct action. Far from being alien to the American experience, it is central to the founding mythology of the country. Ironically, the Tea Partiers named themselves after one of the earliest acts of civil disobedience, the Boston Tea Party. Resistance to injustice is as American as apple pie. From the populist movement of the late 19th century, to the bonus marches after World War I, to the factory occupations of the 1930s, to the civil rights, student, anti-war, women’s and environmental movements born in the 1960s, to the LGBT rights, immigrant rights, and anti-globalization movements in more recent years, we have a long history of direct action mass movements that at certain moments capture the imagination of the country and lead to fundamental change. And at no time since the Great Depression have so many people become disconnected from the promise of the “American Dream.” Millions of people are losing their homes or are trapped in upside-down, underwater mortgages. Students have close to a trillion dollars in debt from student loans, their schools’ budgets are being cut and they have few job options upon graduation. Millions of public-sector workers are at risk of losing their jobs, benefits and pensions. African Americans have been stripped of wealth accumulated over generations through subprime loans and declining housing values. The majority of white, non-college educated workers believe that the standard of living for them and their children will be worse in the future. Latinos and other immigrants have seen hopes of immigration reform dashed. The list of those increasingly left behind by the re-organization of the economy goes on and on. The same is true for many organizations and movements. As a result of the Citizens United decision, groups that have worked for years for electoral and political change are now confronting defeat. So too are environmentalist and anti-climate change groups that have been stymied in trying to pass legislation that just a few short years ago seemed a near certainty. Organizations that have focused on state budgets and public services are under siege in state after state. There isn’t a shortage of people, constituencies or groups for whom the system no longer works. So the question is: How do we encourage, spark, magnify and grow the number of people, groups and places where people are standing up for our communities and our future? A new kind of mass movement is now possible because of the speed and variety of communications. The Internet and social media not only offer an opportunity to communicate, organize and mobilize in new and creative ways, but they are uniquely designed to support efforts to destabilize and create uncertainties for elites. The exciting part is figuring out how to combine online activity with offline traditional organizing so that they magnify each other’s impact. “Anonymous” has already demonstrated how a “cyber” action can prevent a major corporation from engaging in business as usual while trampling on the public interest, in the same way a factory occupation stops production until a company negotiates fairly with its workers. We have more potential, people, organizations and tools to stand for economic justice than we have had at any time in recent history. 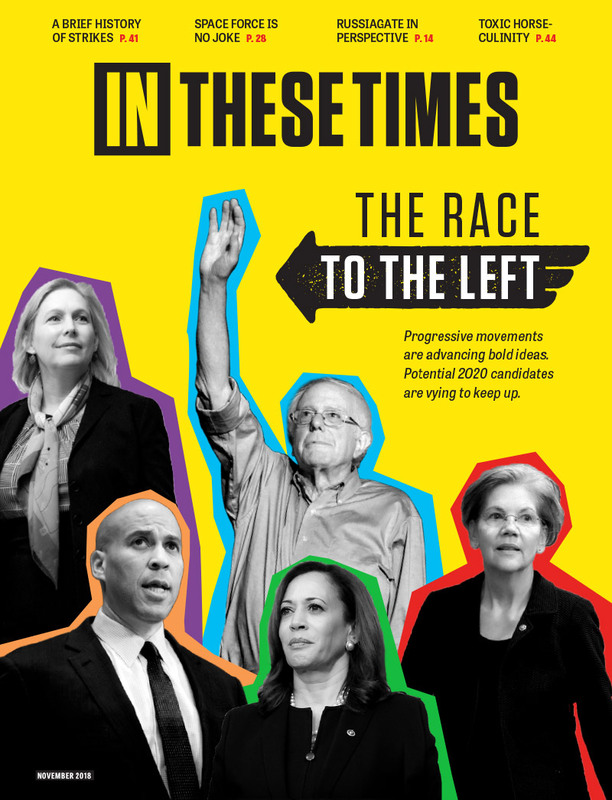 Labor, civil rights and other groups that are involved in building a progressive majority and infrastructure are important, but they can’t lead such a campaign alone. These groups are essential to funding and to creating capacity, credibility and scale. But the reality is that these important institutions have just enough political access, financial assets and institutional interests to hinder and ultimately strangle a campaign of mass resistance strong enough to force fundamental changes in how the economy is organized. In order to succeed, the campaign can’t be held in check by these institutions with too much to lose. Unions with hundreds of millions in assets and collective bargaining agreements covering millions of workers won’t risk their treasuries and contracts by engaging in large-scale sit-ins, occupations and nonviolent civil disobedience that inevitably must overcome court injunctions and political pressure in order to succeed. The same is true for many progressive and civil rights groups that receive significant funding from corporations. Electorally focused groups have worked too hard to risk losing political access. These aren’t criticisms. They are a reality. Groups that were built for traditional electoral politics, lobbying and collective bargaining can’t turn themselves–nor should they–into instruments of direct action challenging the status quo. And when we look back in history from the New Deal to the civil rights movement to the immigrant and gay rights movements today, we find again and again that a vibrant independent activist flank is a prerequisite for transformative change. There isn’t a simple one-size-fits-all answer to the question of who can help build and lead this. It won’t happen spontaneously nor will it happen through traditional coalition work. In Madison the work of the teaching assistants and students was a critical piece of launching, sustaining and expanding the campaign. Along with community groups, they led the occupation of the capitol, which helped define and propel the campaign forward. In other cities, existing and emerging community-based organizing groups, newly activated students, and people and organizations steeped in nonviolent direct action can add energy, creativity and nimbleness to more traditional organizations and protests. One part of the answer may be to integrate and directly connect union members with independent groups and people, so that the campaign can’t be easily turned off because of legal or political pressure. The cliché, from Roosevelt to Johnson to Obama, is true. We need to “make them” do the right thing. It can’t be done without the support of the labor movement and the progressive infrastructure. But rather than imagining a unified campaign spearheaded by traditional institutions, we need to think about overlapping but independent campaigns focused on challenging the power of Wall Street and out-of-control corporate power. To go on offense and win real changes in how the economy and politics of the country are organized, we need to follow three steps. Stephen Lerner serves on the Service Employees International Union's International Executive Board and is the architect of the Justice for Janitors campaign. Lerner is a frequent contributor on national television and radio programs and has published numerous articles charting a path for a 21st-century labor movement. This is a remarkable article...It just oozes out what everyone in the country feel.. We should make sure that this heard everywhere!! Hope the fllame hasn't fizzled since this article was posted. This week marks the three decade anniversary since the event that in retrospect proved to be a requiem for middle class prosperity--that being when Reagan busted the air traffic controllers union which in turn set the tone for the strong anti-union sentiment which contines to this day. There are still plenty of folks out there who consider the very word "union" to be a five-letter obscentiy. Am wondering if there are any rallies scheduled here in the Chicago region to commemorate this sad anniversary. We the People want neither Free Market Capitalism nor Communism. Only liars and thieves embrace Free Market Capitalism. Only lunatics embrace state tyranny. There is a third way. Let the People decide. The ECONOMIC EXTINCTION EVENT of 2007-08 raises two related questions: 1) What economic system will best serve the American People and our Democracy? 2) When the 2007-08 Zombie Bankrupts go bankrupt a second time in the near future, which is a CERTAINTY, what economic system will best serve the American People and our Democracy? NOW, not in the midst of the next crisis of global financial extinction, is the time to create a New American Economy. We the People want neither Free Market Capitalism nor Communism. Only liars and thieves embrace Free Market Capitalism. Only lunatics embrace state tyranny. There is a third way. Let the People decide.